Asthma is one of those hard to see conditions affecting millions of people’s quality of life, so can medical marijuana help? Asthma is one of those hard to see conditions that affects millions of people on a daily basis. Often believed to be triggered by bacterial or viral infections in early childhood, it can be a life-long condition. The effects on quality of life can take their toll, but hope is on the horizon, thanks to medical marijuana. According to the World Health Organization, 1-in-12 people had asthma in the U.S. in 2009, up from 1-in-14 in 2001. 185 children and 3,262 adults died from asthma in 2007. On average, the condition cost the United States about $3,300 dollars per person with asthma each year from 2002 to 2007 in medical expenses, missed school and work days, and early deaths. The total costs rose from $53 billion to $56 billion in the same period. 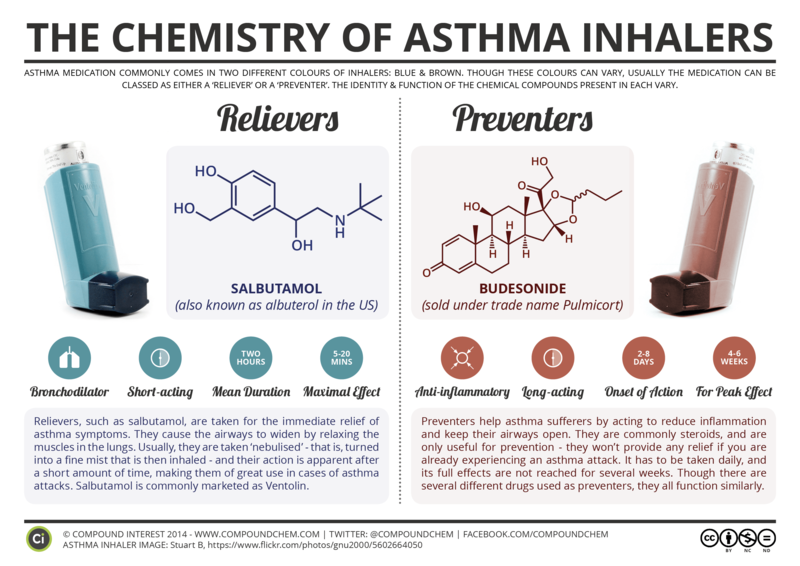 The traditional treatments for asthma are salbutamol, corticosteroids, and nebulizer inhalers. While these treatments have acted as compassionate therapies for a long time, they come with a host of unwanted side-effects. From anxiety to high blood pressure, these treatments can cause medical complications of their own. For many suffering an acute asthma attack, the relief from even fast acting inhalers can take an eternity. Asthma is an inflammatory disease, causing constriction of airways. Cannabis is widely hailed for its anti-inflammatory properties. It is fast acting, and long lasting. Studies into the general effects of cannabis on asthma show both bronchodilation properties as well as subjective improvements in asthma-related pains by reduction of pressure and constriction in the lungs and by acting on the nociceptors (pain sensing nerves) themselves. A study back in 1973 showed that cannabis and salbutamol are equally effective in causing bronchial dilation, but that cannabis causes maximum dilation faster, and the effects are longer lasting. On top of its ability to curb pain and stop asthma attacks in their tracks, cannabis also has antibiotic properties against common and infectious pathogens. THC, CBD, and CBG, along with other less prominent cannabinoids, all have positive effects on the lungs and their health. Respiratory infections are one of the leading causes of asthma-related deaths. Cannabinoid receptors located in the lungs allow direct absorption of the medicine at the site, to act on the lungs faster than traditional medicines. The number of patients using medical cannabis to treat asthma is on the rise, and vaporization is quickly becoming the number one method of delivery for fast acting relief. Smoking cannabis is shown to be effective too, but many steer clear of inhaling smoke, to reduce lung irritation. Dosing with long-lasting edibles or oils also helps to reduce asthma attacks before they begin. With all the benefits and none of the steroids, cannabis is rapidly gaining respect as a natural remedy within the asthma sufferer community. If you or someone you know has asthma, take a look at how cannabis could offer you relief. Do you treat your asthma with cannabis? Spread the word and let the world know how well it works compared to traditional medicines by sharing your experiences with us on social media or in the comments below.